Earth Day is an annual observance on environment-related issues celebrated around the globe. It is one of the largest secular observance in the world, celebrated by more than a billion people and the Philippines is part of the 196 countries that celebrate it each year. For the past 48 years, the modern environmental movement gave voice to emerging consciousness that is giving environmental concerns a priority. This year, the fight for clean environment continues as the effects of climate change become more evident due to heavy use of pollutants. The theme for this year's celebration is "End Plastic Pollution". It aims to educate millions of people on the risks associated with the use and disposal of plastics, including pollution of our water sources, and about the growing body of evidence that plastic waste is creating serious global problems. For the past years, Laguna Water District Aquatech Resources (LARC) has been taking part in what is the largest civic focused day of action in the world. 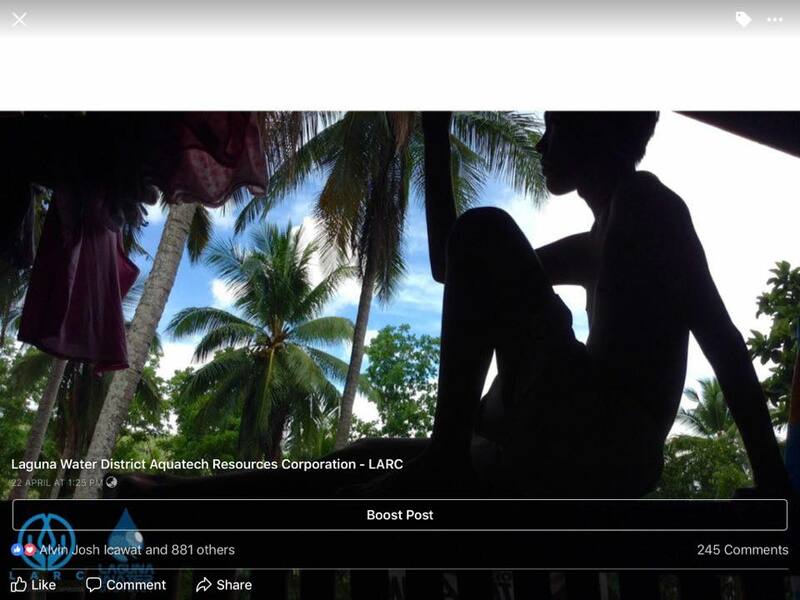 This year, LARC conducted an Earth Day Photo Contest, an activity to inspire people to take care of the environment. LARC's Earth Day Photo Contest is open to all its concessionaires. 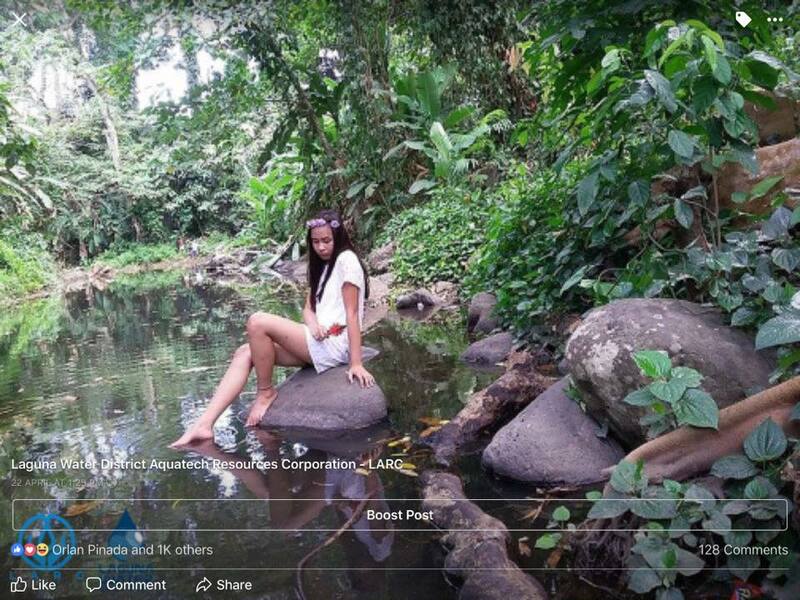 LARC invited all its Facebook page followers to join by submitting a photo of themselves enjoying the great outdoors. It aims to inculcate the realization of the fact that to destroy our natural resources will result in undermining the natural wealth which we enjoyed. 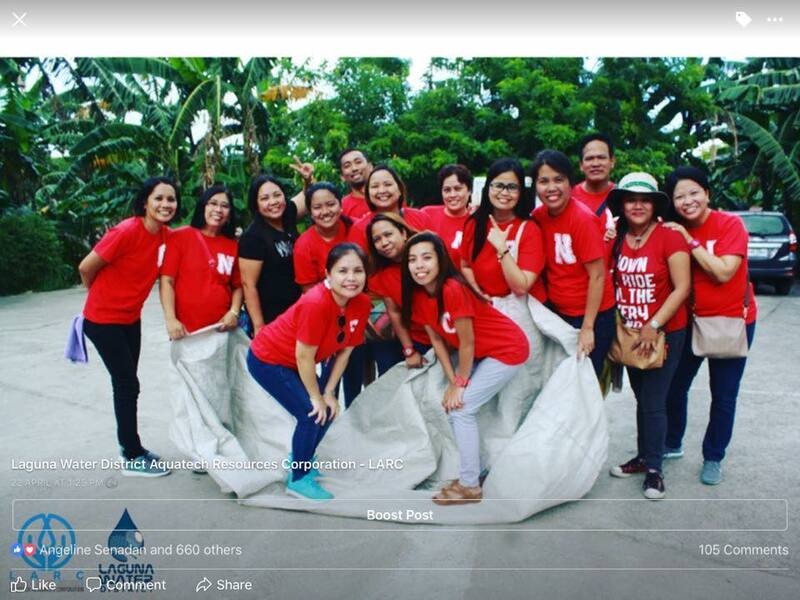 At the same time, the beneficiaries who paid their water bills last April 20, 2018 had the opportunity to enjoy the event by taking their Earth Day photo at a photo booth placed in front of the LARC main office. They also received a reusable ecobag to encourage them to reduce plastic waste and avoid using single use plastic bags. The activity aims to inspire citizens to take personal responsibility for plastic pollution by choosing to reduce, refuse, reuse, recycle and remove plastics. The goal is to end single-use plastics, promote alternatives and recycling, and change human behavior concerning plastics. LARC would like to remind its concessionaires that no matter how small or insignificant an action may seem, they matter. It only takes one person to start a change that could possibly lead to major environmental breakthroughs.